Mr. Opeyemi just called me. 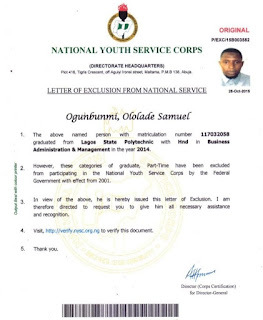 He wanted to apply for NYSC exclusion letter or certificate (as he called it). But he never knew how to go about it. 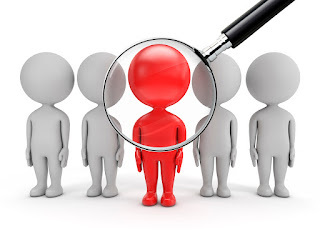 This post will answer the question: how do I apply for NYSC exclusion letters. Firstly, be reminded that there three documents/awards/certificates NYSC does give out to Nigerian graduates. They are: Discharged certificate, exemption letter and exclusion letter. I gave clear difference among them in my post, “NYSC Certificate Differences: Discharged Certificate, Exemption and Exclusion Letters”. You should take a moment to check that. To save you time, below is a quick note on each. Exclusion letter is issued to graduates of distance learning, part-time, National Open University (NOUN). It can pose some confusion if you hear that all Nigerian graduates (local and international students) will follow the same guide to apply for NYSC awards. With that said, a graduate of NOUN falls to the exclusion category. Then how do you get that? You will follow the same process like those who are meant to serve or exempted. Below is the quick look at the processes. Your school will send your data to NYSC for uploading to NYSC registration portal. This list of graduating students is called the senate list. You will go for online registration at the same time those who are meant to serve are also registering. You’re to fill exactly the same form (information) except that you won’t be asked to select 4 states of deployment. After completing the online registration you won’t be given any document (as that is not available for the exclusion candidates). Only those serving will be given the green card. You will return to print your exclusion letter when those who are to serve are printing their call-up letters. 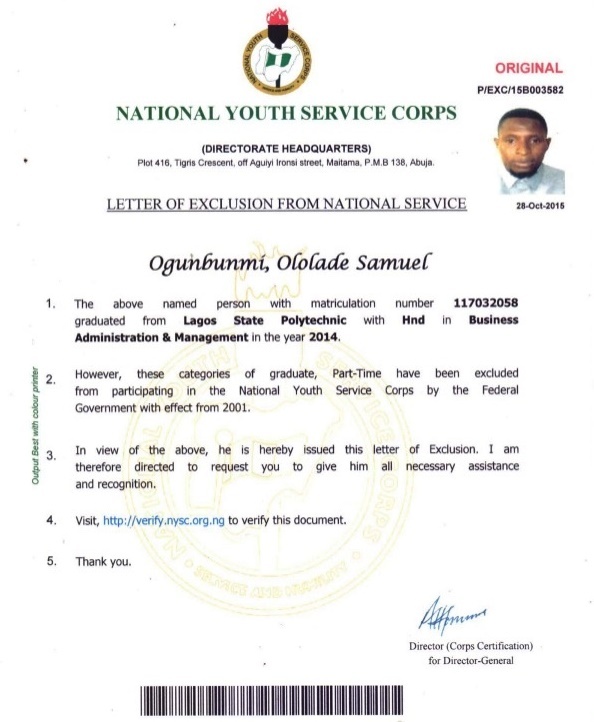 Note that as at the time of this post exclusion graduates are to print this letter online while served corps are given discharged certificate by hands after service. What is the Procedure for the Online Registration? I have detailed the step by step guide to NYSC online registration in my post, “How to Register for NYSC Batch A, B or C Mobilization. Step by Step Guide”. Follow the details there. But briefly here, follow the guide below. NOTE: You will be the service of a profession and accredited café to complete this registration. Such café must have biometric scanner (fingerprint reader).